Designed for the rapid manufacture of plain or screen-printed discs and chocolate tuiles to be used on a "guitar" PVC sheet or transfer sheet. Kit consisting of a perforated plate and a chocolate container/shuttle. Unit made entirely of stainless steel. Completely dishwasher safe. Principle of use: 1. Place the plate width-wise on the 1st third of a "guitar" PVC sheet. 2. Position the shuttle at one end of the plate and fill with chocolate. 3. 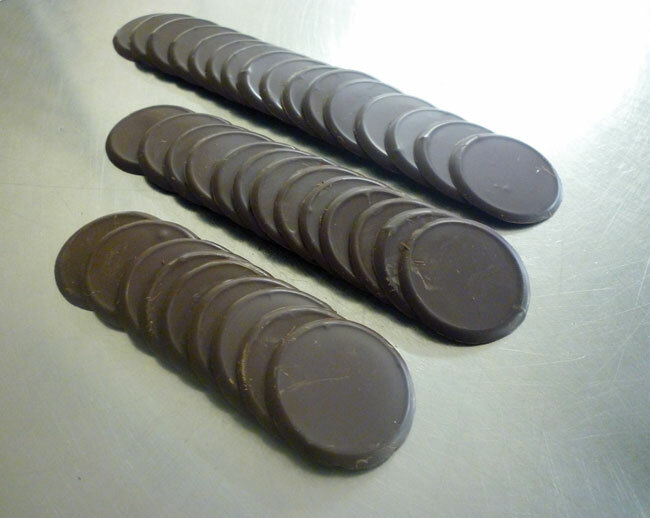 Slide the shuttle to the other end of the plate - as it moves, chocolate fills the perforations. 4. Lift the base and place it on the 2nd third of the sheet. 5. Do the same thing twice more to cover the entire 23 3/4" x 15 3/4" sheet. Dimensions: 25" x 6 1/2" x 3 1/4". 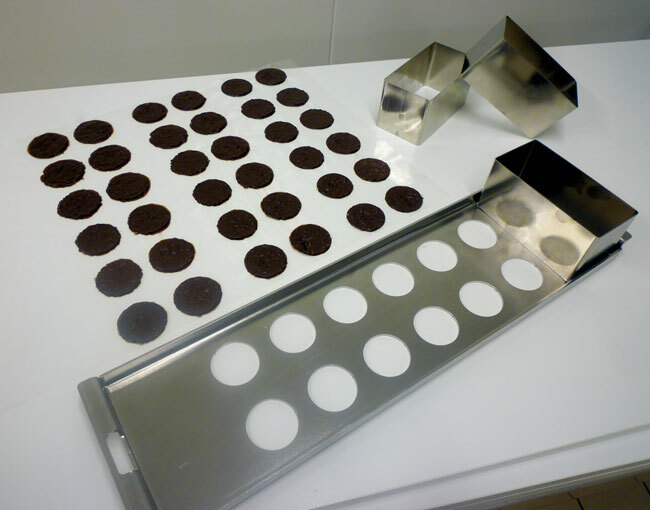 Chef’s Tip: Place the kit in oven at 86ºF/95ºF before use to avoid the chocolate solidifying too quickly in contact with the stainless steel.